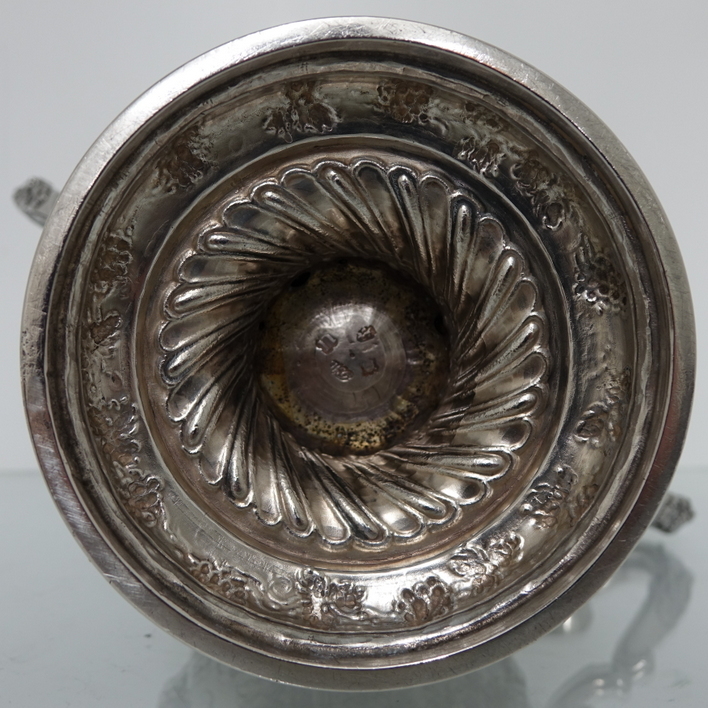 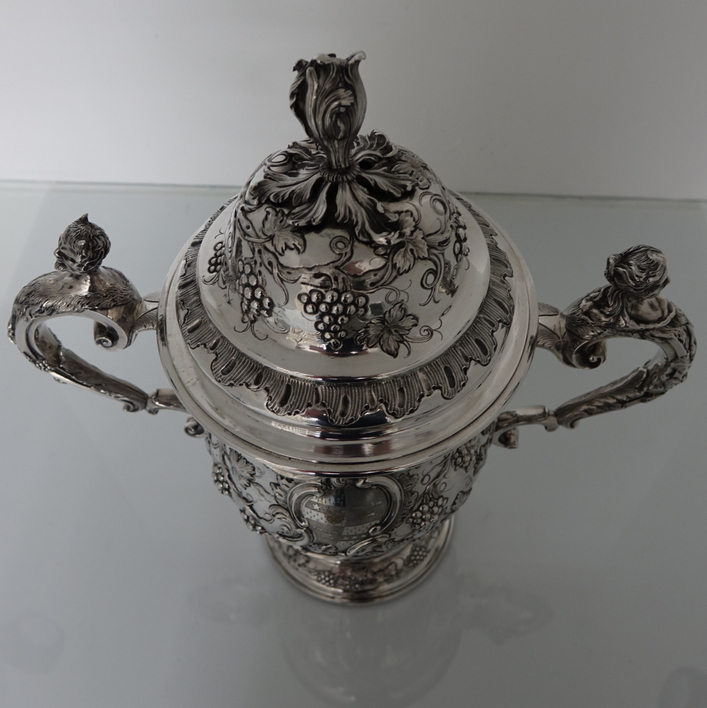 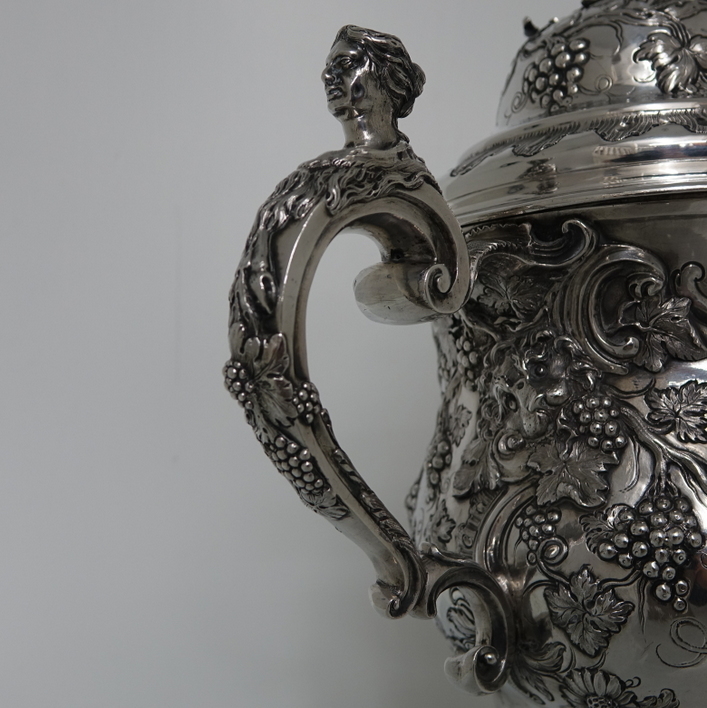 A very large hand chased rococo cup and cover decorated throughout with floral, grape and vine workmanship. 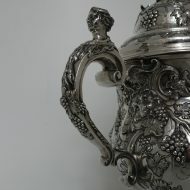 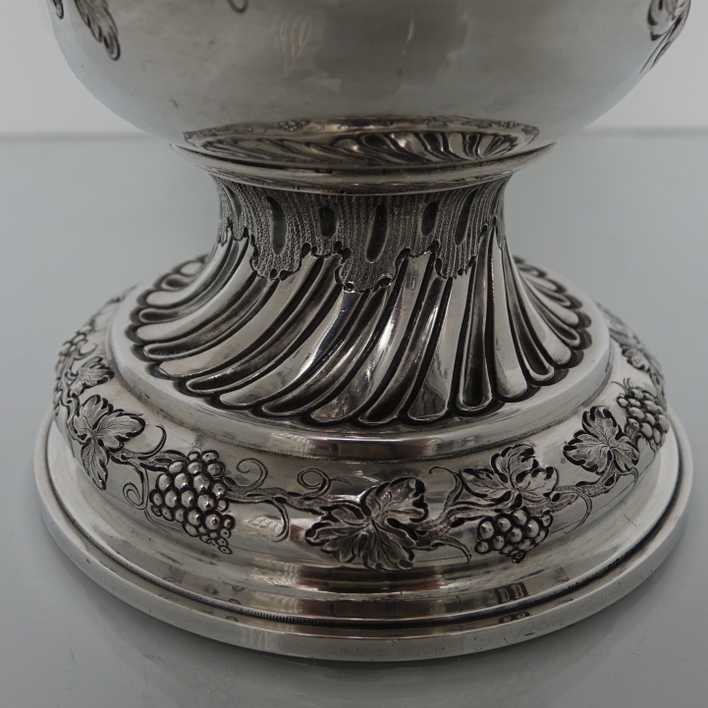 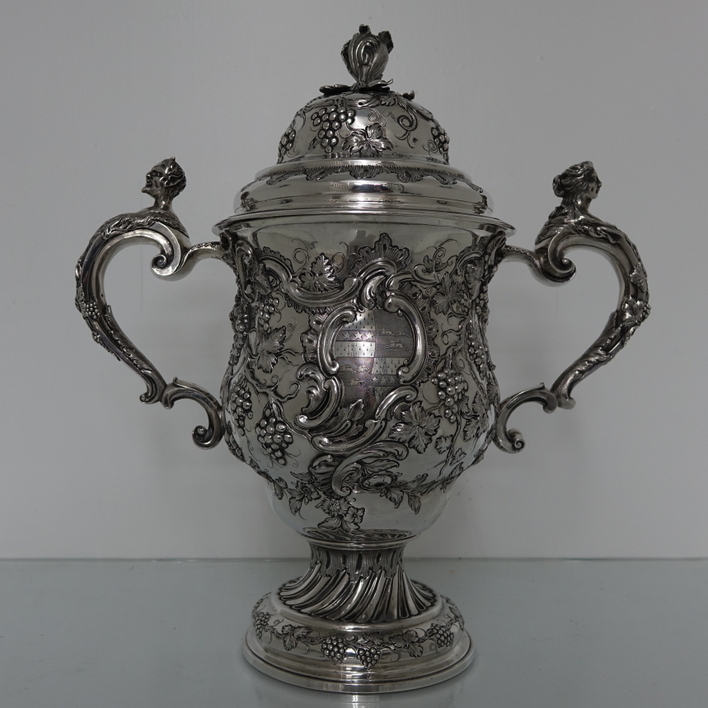 A very large, hand-chased Rococo cup and cover decorated throughout with floral, grape and vine workmanship. 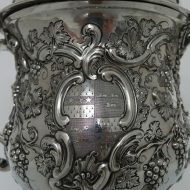 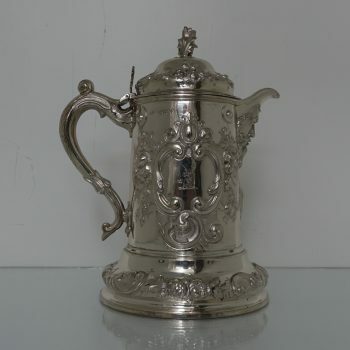 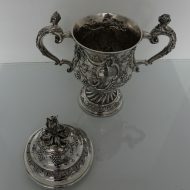 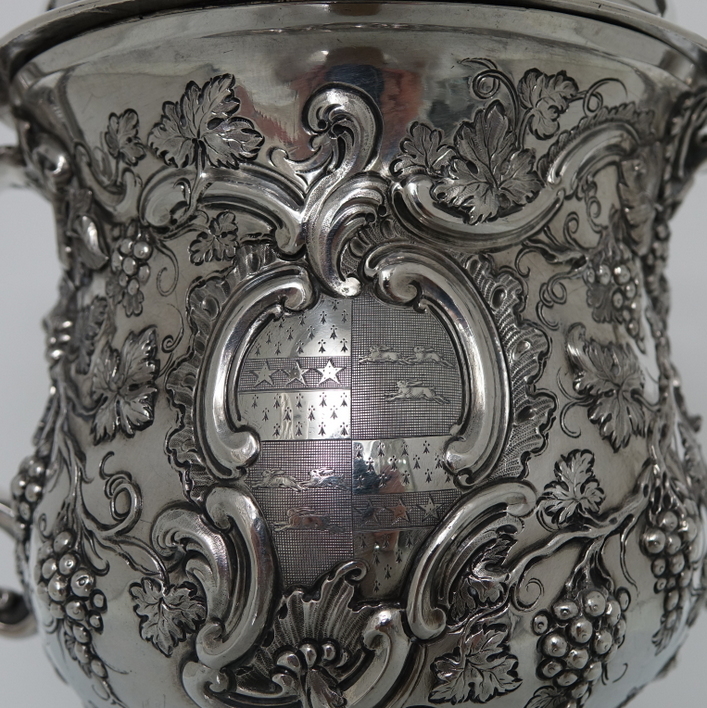 The bowl of the cup has an ornate cartouche in which sits a family crest. 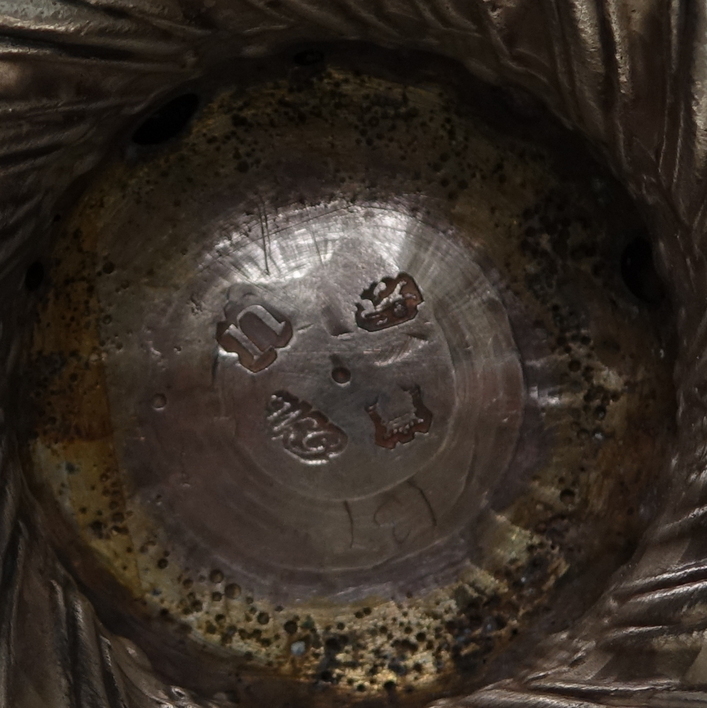 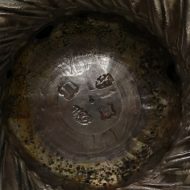 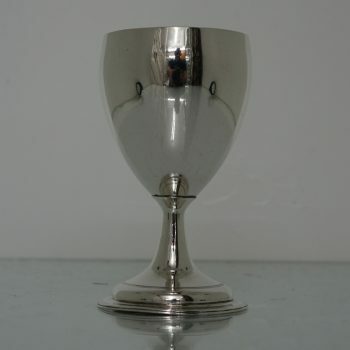 The foot of the cup is half spiral-fluted. 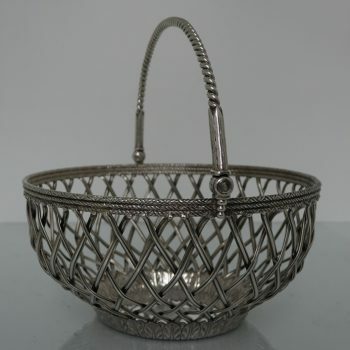 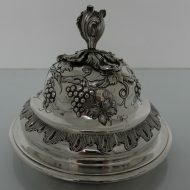 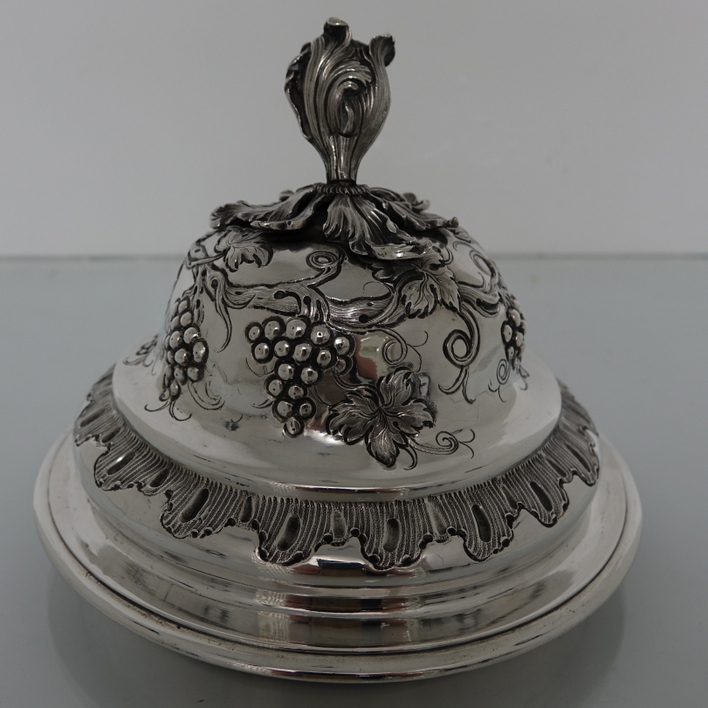 The lid is detachable with a beautiful applied cast floral finial. 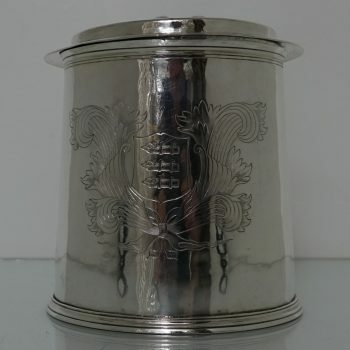 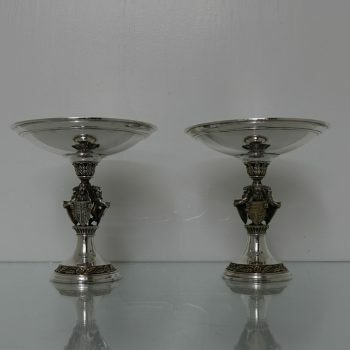 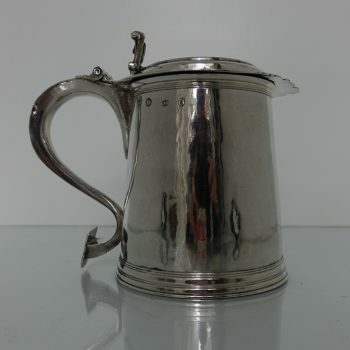 The handles have figurative heads are double scroll in design. 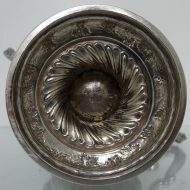 An extremely beautiful item. 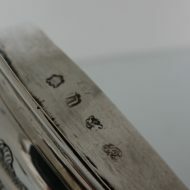 Condition: Beautiful throughout. 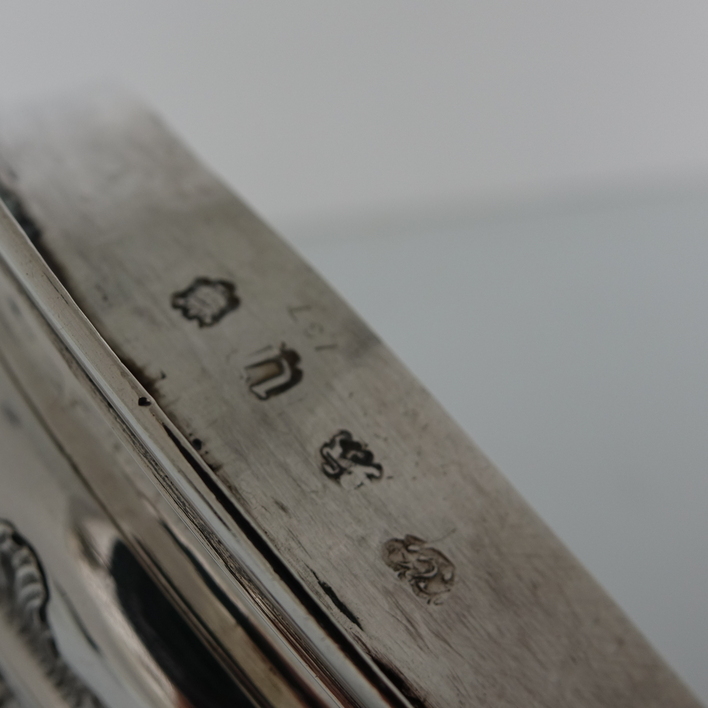 Detachable cover fully hallmarked.